High-quality Power Connector for Amiga 500 600 1200 & Commodore 128. Disk drive works fine and rear ports look in perfect condition. Commodore Amiga 500 with 1Mb Ram. Original seals intact - Computer never opened! Only one owner from new - always kept inside the house. The monitor in the photos is for test purpose only, not included in this sale. BOXED AMIGA 500 COMMODORE. Condition is Used. The Amiga boots up and played the games I had available to try. It has got a cable to connect to the TV, I used my scart converter (not included) cable that you can purchase on eBay. Keyboard has heavy signs of the normal yellowing. Mouse also yellowed but overall a good example of the in demand retro computer! Commodore Amiga 500 TV Modulator and Power Supply. Condition is Used. Dispatched with Royal Mail 1st Class. Boxed Commodore AMIGA 500 Computer Complete with wires. Boxed Commodore AMIGA 500 Computer Complete with wires.. Condition is Used. Collection in person only. Commodore Amiga A500 With Power Supply. Powers up ok and loads discs ok too. Warranty seals are also unbroken The AV cable used to test this is not included in the sale. To be sold via auction only. Commodore Amiga A600 - Fully Working! Commodore Amiga Retro Enthusiast Digital Download (8GB). Commodore Amiga Retro Enthusiast Digital Download. You won`t be dissapointed. This is a LARGE download which is nearly 8GB in size. If burning onto a DVD you will need a dual layer DVD. New listingCommodore Amiga A500 - Original Seals Intact - Superb! Condition is good and is not in the usual yellow colour and all seals to the rear are in tact. The A500 was the most successful Amiga model released by Commodore and competed head to head with the technically inferior Atari ST throughout the 1980's. With thousands of colours, a built in disk drive and stereo sound it was the dream computer of a generation. 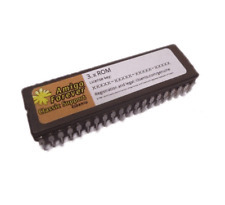 A Boxed Amitek RAM upgrade for any Amiga 500 that will upgrade your computer by an extra 0.5Mb (512k). This is one for the collectors - I doubt you will find another one in such pristine condition. Tested on an A500 so screenshot shows 1.5mb ram (512k up on standard 1Mb). Included is the original software released with the Amiga in 1987 - The Works and the Original Deluxe Paint also Workbench 1.2. All working and this Amiga is the first edition 1987 model running Kickstart 1.2 - upgraded to 1MB Ram & low serial number. Commodore Amiga 500. This Amiga has been fully tested. - Amiga 500. - 512kB of RAM. Cleaned & Fully Tested. and cleaned. - Chinon FB-354 disk drive. been serviced and tested. Commodore Amiga manuals and books, good condition, free p&p uk see photos. Condition is Used. Dispatched with Royal Mail 2nd Class. The latest FlashFloppy v1.2 firmware is installed on the Gotek this can be updated. and an optical mouse with amiga adapter and Joystick. directly from the USB stick and can load floppy disk. ADF images directly from USB. The Amazing Amiga Collection for Retro Enthusiasts. Perfectly compatible to run alongside Amiga Forever - simply copy onto your computer or browse the disks themselves from your desktop. You agree when buying that you are commissioning us to make a Bootable USB Flash Disk for you. Disk drive works fine and rear ports look in good condition. Included is a fully working joystick. Commodore Amiga 500 with 1Mb Ram. E arly version red LED power light! Amiga 500 upgraded to 1Mb Ram. Boxed Commodore Amiga 500 (A500) computer unit. - Amiga A520 Analogue video connector box (RF modulator) - cable leads are NOT INCLUDED. - Two button Ball Mouse. COLLECT IN PERSON Installing CD player to an amplifier. Tested and working great. Will need a monitor or a TV adaptor if you wish to play on a TV. The plastic on everything has yellowed. Commodore Amiga 500. UPGRADED VERSION. COMPLETE IN ORIGINAL BOX. ALL BOOKS WITH IT. THIS IS IN A FEW BOXES. BOUGHT NEW BY MY BROTHER IN LAW WHEN RELEASED. THAT I NEED TO GO THROUGH AND TAKE PICS. COMMODORE AMIGA A590. TESTED WITH AMIGA 500. 20 MB Western DigitalXT HDD. RAM Expansion. 2MB FAST RAM ON BOARD. HARD DRIVE PLUS. Slightly yellowed or yellowed. 5 - In full working order, tested minimum 2h of non stop work. Commodore Amiga 500 Gigatron Arriba Internal IDE Controller & Install Disk RARE! Great addon for Amiga 500, 1000 and 2000. Install disk working. Disk drive works fine and rear ports look in perfect condition - very well preserved. The Amiga itself looks great for age - see photos. Great condition, Tested and working. - Amiga 500 With 1MB Ram. A Commodore Amiga 500 Screen Gems edition in full working order and in pristine used condition. 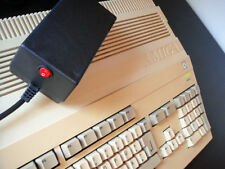 It has also been fitted with the 512k ram board to enhance the Amigas performance. Disk drive works fine and rear ports look in good condition. Commodore Amiga 500 with 1Mb Ram. Upgraded to 1Mb in the trapdoor which is fully working. Have tested the Amiga by loading a workbench 1.3 disk. Commodore amiga 500. had it tested,found and working.more pictures to follow. NEW, high-quality power connector for Amiga 500, 600, 1200 & Commodore 128. Tested on Amiga 500 with 1MB ram expansion. LAST NINJA III. Tested and fully working. Both Disks also tested under X-COPY. In a resaleable condition. By: SYSTEM 3. 0 - For parts only - Missing parts, scratches, cracks, marks, ect. broken disks. By: Codemasters 1992. Spellbound DIZZY. Fully tested and working. Disk tested for errors underX-COPY. In a resaleable condition. 6 - Still like NEW - sealed, never be in use or hardly used. Due of years still in perfect condition. Tested on Amiga 500 with 1MB ram expansion. FATE of ATLANTIS. INDIANA JONES and the. Tested and fully working. Diskette tested for errors under X-COPY. In a resaleable condition. 6 - Still like NEW - sealed,never be in useor hardly used. For Commodore AMIGA. By: Buena Vista Software 1988. ROGER RABBIT. Fully tested and working. Tested underX-COPY. In a resaleable condition. 6 - Still like NEW - sealed, never be in use or hardly used. For Commodore AMIGA. VIRUS KILLER. with sealed, unopened box. Antivirus Software. 6 - Still like NEW - sealed, never be in use or hardly used. Due of years still in perfect condition. In a resaleable condition. Box version for Commodore AMIGA. CAPCOM U.S.GOLD. BOX and Instruction Booklet. In a resaleable condition. 6 - Still like NEW - sealed, never be in use or hardly used. Due of years still in perfect condition. By: Microprose 1988. Tested on Amiga 500 with 1MB ram expansion. F-19 STEALTH FIGHTER. Tested and fully working. Diskettes tested for errors under X-COPY. In a resaleable condition. 0 - For parts only - Missing parts, scratches, cracks, marks, ect. broken disks. Commodore Amiga A500 A500 A600 A1200 compatible. Smaller but stronger. 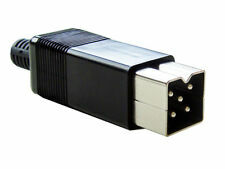 Heavyweight, lightweight, in range of 24W to 35W output power. Manufacturer is not responsible for any consequences of unauthorised or arbitrary repairs, modifications or incorrect usage. For Commodore AMIGA. Both diskette tested underX-COPY. By:Gremlin Graphics 1993. Fully tested and working. In a resaleable condition. 6 - Still like NEW - sealed, never be in use or hardly used. Due of years still in perfect condition. MICROPROSE FORMULA ONE. By: Geoff Crammond & Microprose. Fully tested and working. All diskettes tested for errors underX-COPY. In a resaleable condition. 6 - Still like NEW - sealed, never be in use or hardly used. By: Rainbird. Tested on Amiga 500 with 1MB ram expansion. Masters of Strategy. Tested and fully working. Disk also tested under X-COPY. In a resaleable condition. 6 - Still like NEW - sealed,never be in useor hardly used. By: ReadySoft Inc. Don Bluth's. In a resaleable condition. 5 - almost like new, or looking like new. Due of years still in excellent condition. 6 - Still like NEW - sealed,never be in useor hardly used. In good condition is this Commodore Amiga book - Amiga Basic Inside and Out. Very collectable. For Commodore AMIGA. Tested on Amiga 500 with 1MB ram expansion. By: Incentive Software. 3D Construction Kit Software. Tested and fully working. Diskette tested under X-COPY. It is not about destroying the surface of disks, it is about demagnetization of surface. Hooked - mounted inside on one Commodore Amiga. AMIGA ACTION MAGAZINE. And can be normal used with Commodore Amiga. First coverdisk for Amiga Action Magazine. Released with Amiga Action nr 013 on October 1990. For Commodore AMIGA. AMIGA VERSION 1. And Amiga 1200. ALIEN BREED. Fully tested and working. Disks also tested underX-COPY. SPECIAL EDITION 1992. By: Team 17 Software Ltd. 1992. Commodore Amiga A500 Screen Gems 1 mb - Few keys (reset) no working.